Navigation. FUEL EFFICIENT 32 MPG Hwy/23 MPG City! sDrive28i trim, Mediterranean Blue Metallic exterior and Black SensaTec interior AND MORE! KEY FEATURES INCLUDE Navigation, Power Liftgate, Back-Up Camera, Turbocharged, iPod/MP3 Input, CD Player, Onboard Communications System, Keyless Start, Dual Zone A/C, Smart Device Integration. BMW sDrive28i with Mediterranean Blue Metallic exterior and Black SensaTec interior features a 4 Cylinder Engine with 228 HP at 5000 RPM*. OPTION PACKAGES WHEELS: 19 X 8.0 Y-SPOKE (STYLE 511) Tires: 225/45R19, TRANSMISSION: STEPTRONIC AUTOMATIC sport and manual shift modes and Adaptive Transmission Control (ATC) (STD). Rear Spoiler, MP3 Player, Keyless Entry, Privacy Glass, Remote Trunk Release. WHY BUY FROM US Established in 1982, Pacific BMW has grown to become the premier Los Angeles auto dealer in the Southern California region. Throughout our tenure we strive to include the best possible customer service with top-notch repair/maintenance work and comprehensive new and used car, and SUV inventories. Horsepower calculations based on trim engine configuration. Fuel economy calculations based on original manufacturer data for trim engine configuration. Please confirm the accuracy of the included equipment by calling us prior to purchase. Heated Seats, Moonroof, Navigation, CD Player, Onboard Communications System. sDrive28i trim. FUEL EFFICIENT 32 MPG Hwy/23 MPG City! SEE MORE! KEY FEATURES INCLUDE Navigation, Power Liftgate, Back-Up Camera, Turbocharged, iPod/MP3 Input, CD Player, Onboard Communications System, Aluminum Wheels, Dual Zone A/C, Smart Device Integration BMW sDrive28i with Alpine White exterior and Black SensaTec interior features a 4 Cylinder Engine with 228 HP at 5000 RPM*. OPTION PACKAGES CONVENIENCE PACKAGE Auto-Dimming Rearview Mirror, Universal Garage-Door Opener, Auto-Dimming Interior & Exterior Mirrors, Power-Folding Mirrors, Panoramic Moonroof, SiriusXM Satellite Radio, 1 year All Access subscription, Comfort Access Keyless Entry, Lumbar Support, HEATED FRONT SEATS & STEERING WHEEL Heated Front Seats, Heated Steering Wheel, TRANSMISSION: STEPTRONIC AUTOMATIC sport and manual shift modes and Adaptive Transmission Control (ATC) (STD). Rear Spoiler, MP3 Player, Privacy Glass, Steering Wheel Controls, Child Safety Locks. OUR OFFERINGS Established in 1982, Pacific BMW has grown to become the premier Los Angeles auto dealer in the Southern California region. Throughout our tenure we strive to include the best possible customer service with top-notch repair/maintenance work and comprehensive new and used car, and SUV inventories. Horsepower calculations based on trim engine configuration. Fuel economy calculations based on original manufacturer data for trim engine configuration. Please confirm the accuracy of the included equipment by calling us prior to purchase. Moonroof, Heated Seats, Nav System. sDrive28i trim, Jet Black exterior and Black SensaTec interior. EPA 32 MPG Hwy/23 MPG City! SEE MORE! KEY FEATURES INCLUDE Navigation, Power Liftgate, Back-Up Camera, Turbocharged, iPod/MP3 Input, CD Player, Onboard Communications System, Aluminum Wheels, Dual Zone A/C, Smart Device Integration BMW sDrive28i with Jet Black exterior and Black SensaTec interior features a 4 Cylinder Engine with 228 HP at 5000 RPM*. OPTION PACKAGES CONVENIENCE PACKAGE Auto-Dimming Rearview Mirror, Universal Garage-Door Opener, Auto-Dimming Interior & Exterior Mirrors, Power-Folding Mirrors, Panoramic Moonroof, SiriusXM Satellite Radio, 1 year All Access subscription, Comfort Access Keyless Entry, Lumbar Support, HEATED FRONT SEATS & STEERING WHEEL Heated Front Seats, Heated Steering Wheel, TRANSMISSION: STEPTRONIC AUTOMATIC sport and manual shift modes and Adaptive Transmission Control (ATC) (STD). Rear Spoiler, MP3 Player, Privacy Glass, Steering Wheel Controls, Child Safety Locks. WHO WE ARE Established in 1982, Pacific BMW has grown to become the premier Los Angeles auto dealer in the Southern California region. Throughout our tenure we strive to include the best possible customer service with top-notch repair/maintenance work and comprehensive new and used car, and SUV inventories. Horsepower calculations based on trim engine configuration. Fuel economy calculations based on original manufacturer data for trim engine configuration. Please confirm the accuracy of the included equipment by calling us prior to purchase. Heated Seats, NAV, CD Player. Sunset Orange Metallic exterior and Black SensaTec interior, xDrive28i trim. EPA 31 MPG Hwy/21 MPG City! CLICK ME! KEY FEATURES INCLUDE Navigation, All Wheel Drive, Power Liftgate, Back-Up Camera, Turbocharged, iPod/MP3 Input, CD Player, Onboard Communications System, Keyless Start, Dual Zone A/C, Smart Device Integration BMW xDrive28i with Sunset Orange Metallic exterior and Black SensaTec interior features a 4 Cylinder Engine with 228 HP at 5000 RPM*. OPTION PACKAGES WHEELS: 19 X 8.0 Y-SPOKE (STYLE 511) Tires: 225/45R19, HEATED FRONT SEATS & STEERING WHEEL Heated Front Seats, Heated Steering Wheel, TRANSMISSION: STEPTRONIC AUTOMATIC sport and manual shift modes and Adaptive Transmission Control (ATC) (STD). Rear Spoiler, MP3 Player, Remote Trunk Release, Keyless Entry, Privacy Glass. MORE ABOUT US Established in 1982, Pacific BMW has grown to become the premier Los Angeles auto dealer in the Southern California region. Throughout our tenure we strive to include the best possible customer service with top-notch repair/maintenance work and comprehensive new and used car, and SUV inventories. Horsepower calculations based on trim engine configuration. Fuel economy calculations based on original manufacturer data for trim engine configuration. Please confirm the accuracy of the included equipment by calling us prior to purchase. Navigation, Heated Seats, CD Player. EPA 29 MPG Hwy/23 MPG City! M35i trim, Misano Blue Metallic exterior and Black SensaTec interior SEE MORE! KEY FEATURES INCLUDE All Wheel Drive, Power Liftgate, Back-Up Camera, Turbocharged, Satellite Radio, iPod/MP3 Input, CD Player, Onboard Communications System, Keyless Start, Dual Zone A/C, Smart Device Integration. BMW M35i with Misano Blue Metallic exterior and Black SensaTec interior features a 4 Cylinder Engine with 302 HP at 5000 RPM*. OPTION PACKAGES PREMIUM PACKAGE Heated Front Seats, Navigation w/Touchpad Controller, Head-Up Display, Heated Steering Wheel, WHEELS: 20 X 8.0 M DOUBLE-SPOKE (STYLE 721M) Tires: 225/40R20 Performance. Rear Spoiler, MP3 Player, Keyless Entry, Remote Trunk Release, Privacy Glass. 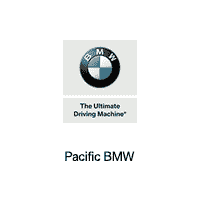 WHY BUY FROM US Established in 1982, Pacific BMW has grown to become the premier Los Angeles auto dealer in the Southern California region. Throughout our tenure we strive to include the best possible customer service with top-notch repair/maintenance work and comprehensive new and used car, and SUV inventories. Horsepower calculations based on trim engine configuration. Fuel economy calculations based on original manufacturer data for trim engine configuration. Please confirm the accuracy of the included equipment by calling us prior to purchase. Heated Seats, NAV, CD Player. M35i trim, Misano Blue Metallic exterior and Sensatec Oyster/Black interior. EPA 29 MPG Hwy/23 MPG City! AND MORE! KEY FEATURES INCLUDE All Wheel Drive, Power Liftgate, Back-Up Camera, Turbocharged, Satellite Radio, iPod/MP3 Input, CD Player, Onboard Communications System, Keyless Start, Dual Zone A/C, Smart Device Integration. BMW M35i with Misano Blue Metallic exterior and Sensatec Oyster/Black interior features a 4 Cylinder Engine with 302 HP at 5000 RPM*. OPTION PACKAGES PREMIUM PACKAGE Heated Front Seats, Navigation w/Touchpad Controller, Head-Up Display, Heated Steering Wheel, ACC STOP & GO + ACTIVE DRIVING ASSISTANT automatic high beams and speed limit info, WHEELS: 20 X 8.0 M DOUBLE-SPOKE (STYLE 721M) Tires: 225/40R20 Performance. Rear Spoiler, MP3 Player, Keyless Entry, Remote Trunk Release, Privacy Glass. WHO WE ARE Established in 1982, Pacific BMW has grown to become the premier Los Angeles auto dealer in the Southern California region. Throughout our tenure we strive to include the best possible customer service with top-notch repair/maintenance work and comprehensive new and used car, and SUV inventories. Horsepower calculations based on trim engine configuration. Fuel economy calculations based on original manufacturer data for trim engine configuration. Please confirm the accuracy of the included equipment by calling us prior to purchase. Heated Seats, Moonroof, Nav System, iPod/MP3 Input. Black Sapphire Metallic exterior and Black SensaTec interior, M35i trim. READ MORE! KEY FEATURES INCLUDE All Wheel Drive, Power Liftgate, Back-Up Camera, Turbocharged, Satellite Radio, iPod/MP3 Input, CD Player, Onboard Communications System, Keyless Start, Dual Zone A/C, Smart Device Integration. BMW M35i with Black Sapphire Metallic exterior and Black SensaTec interior features a 4 Cylinder Engine with 302 HP at 5000 RPM*. OPTION PACKAGES PREMIUM PACKAGE Heated Front Seats, Navigation w/Touchpad Controller, Head-Up Display, Heated Steering Wheel, PANORAMIC MOONROOF, WHEELS: 20 X 8.0 M DOUBLE-SPOKE (STYLE 721M) Tires: 225/40R20 Performance. Rear Spoiler, MP3 Player, Keyless Entry, Remote Trunk Release, Privacy Glass. WHO WE ARE Established in 1982, Pacific BMW has grown to become the premier Los Angeles auto dealer in the Southern California region. Throughout our tenure we strive to include the best possible customer service with top-notch repair/maintenance work and comprehensive new and used car, and SUV inventories. Horsepower calculations based on trim engine configuration. Fuel economy calculations based on original manufacturer data for trim engine configuration. Please confirm the accuracy of the included equipment by calling us prior to purchase. Heated Seats, Sunroof, NAV. Black Sapphire Metallic exterior and Black SensaTec interior, M35i trim. EPA 29 MPG Hwy/23 MPG City! READ MORE! KEY FEATURES INCLUDE All Wheel Drive, Power Liftgate, Back-Up Camera, Turbocharged, Satellite Radio, iPod/MP3 Input, Onboard Communications System, Aluminum Wheels, Keyless Start, Dual Zone A/C, Smart Device Integration. BMW M35i with Black Sapphire Metallic exterior and Black SensaTec interior features a 4 Cylinder Engine with 302 HP at 5000 RPM*. OPTION PACKAGES PREMIUM PACKAGE Heated Front Seats, Navigation w/Touchpad Controller, Head-Up Display, Heated Steering Wheel, PANORAMIC MOONROOF, harman/kardon PREMIUM SOUND SYSTEM, WIRELESS CHARGING WiFi Hotspot. Rear Spoiler, MP3 Player, Keyless Entry, Remote Trunk Release, Privacy Glass. OUR OFFERINGS Established in 1982, Pacific BMW has grown to become the premier Los Angeles auto dealer in the Southern California region. Throughout our tenure we strive to include the best possible customer service with top-notch repair/maintenance work and comprehensive new and used car, and SUV inventories. Horsepower calculations based on trim engine configuration. Fuel economy calculations based on original manufacturer data for trim engine configuration. Please confirm the accuracy of the included equipment by calling us prior to purchase.